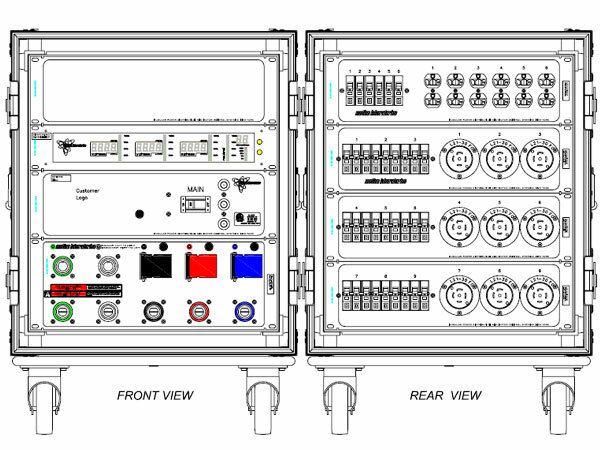 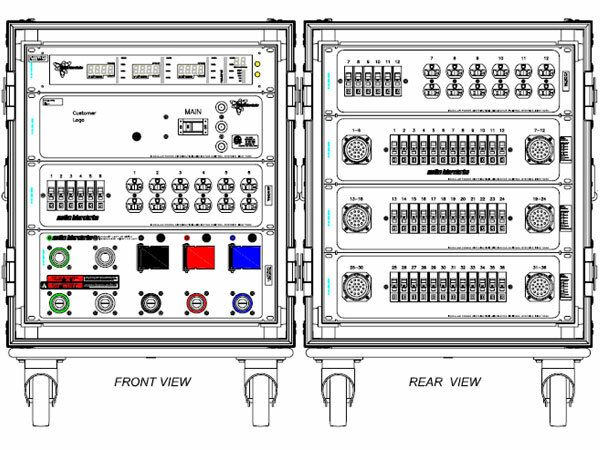 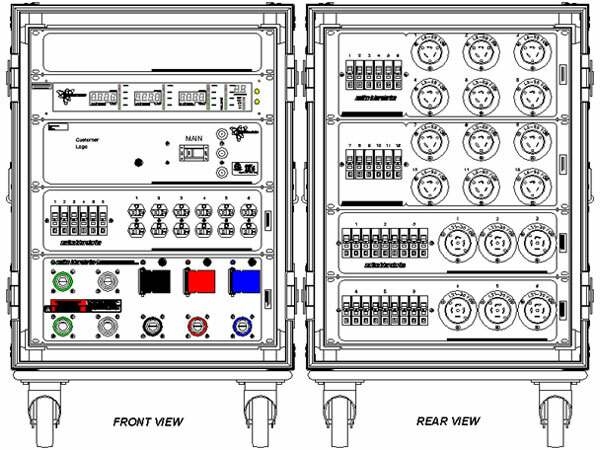 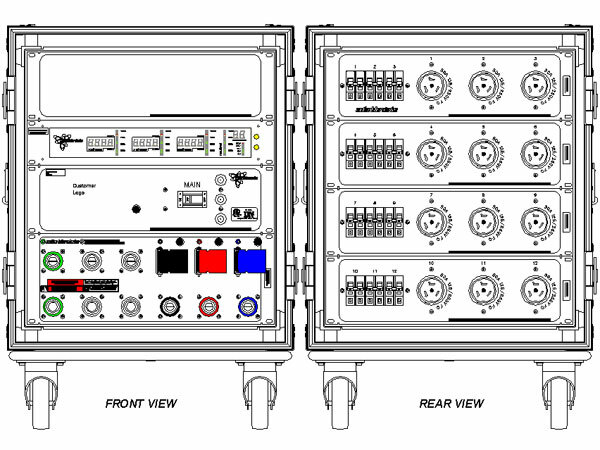 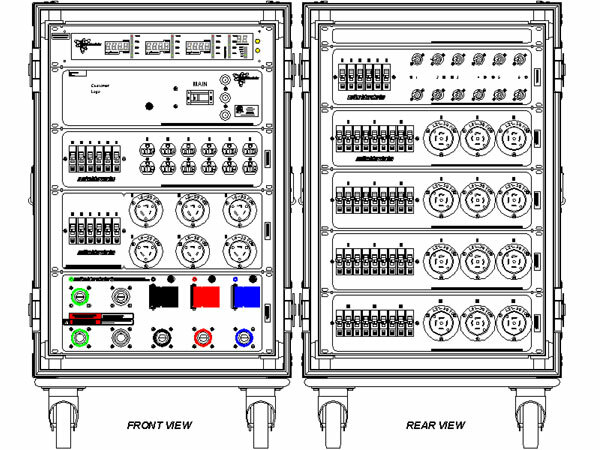 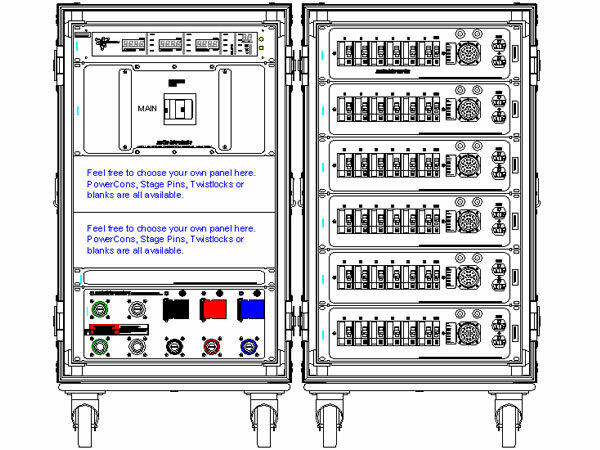 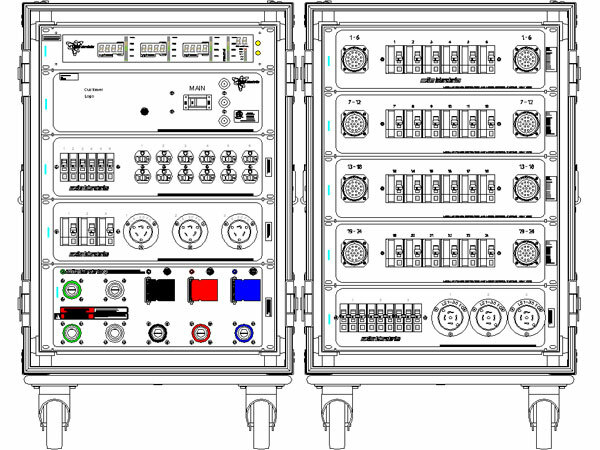 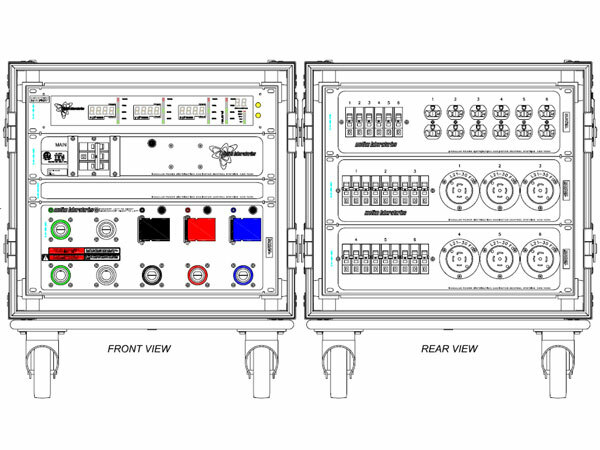 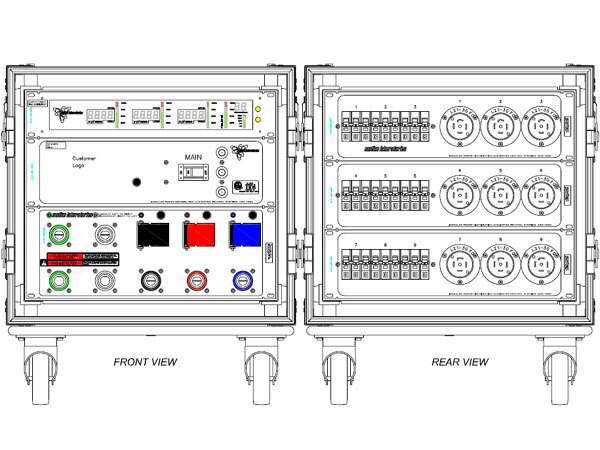 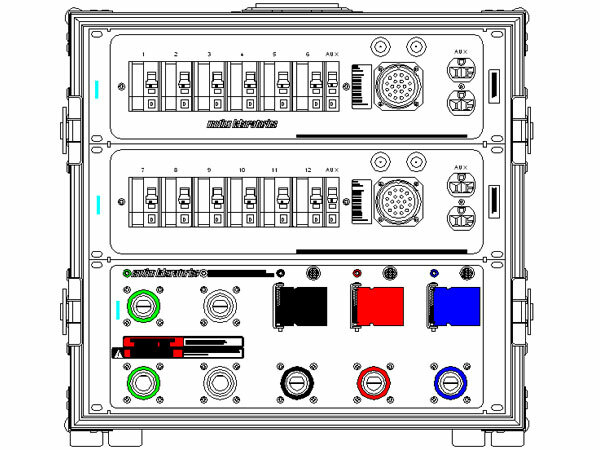 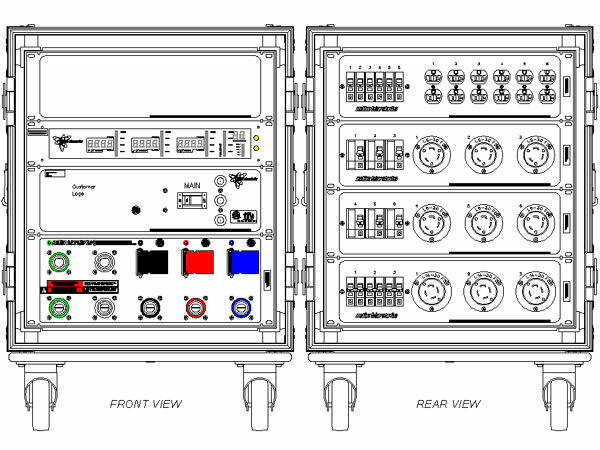 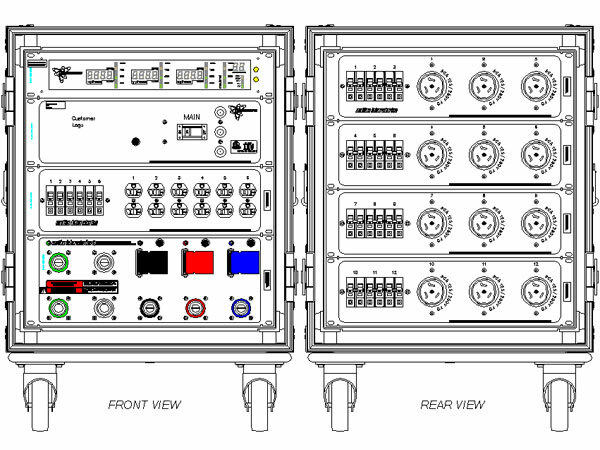 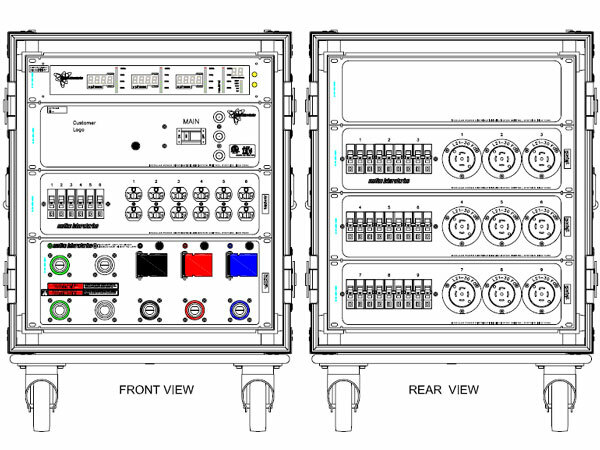 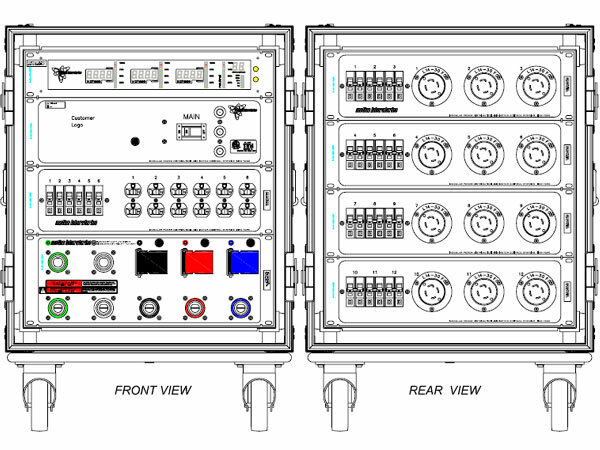 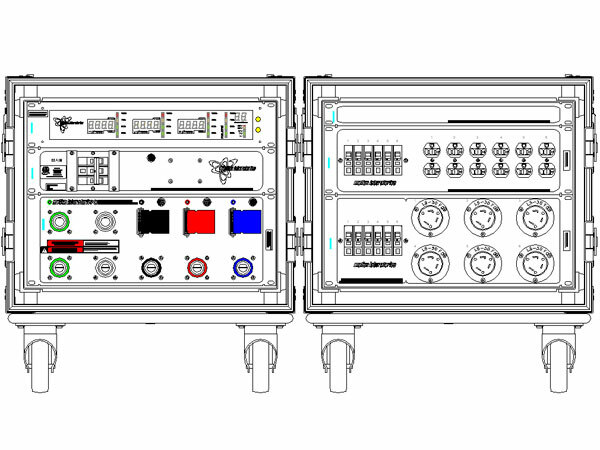 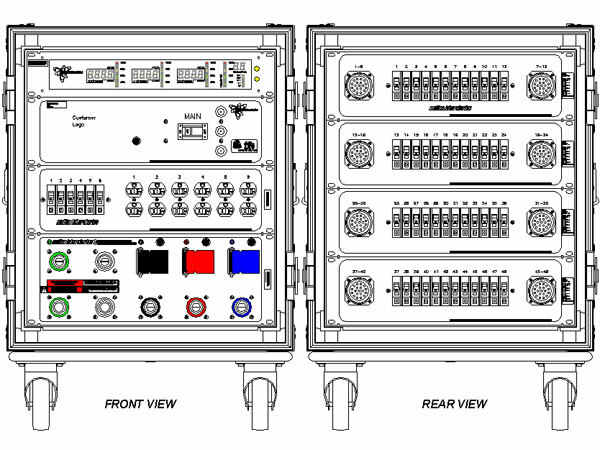 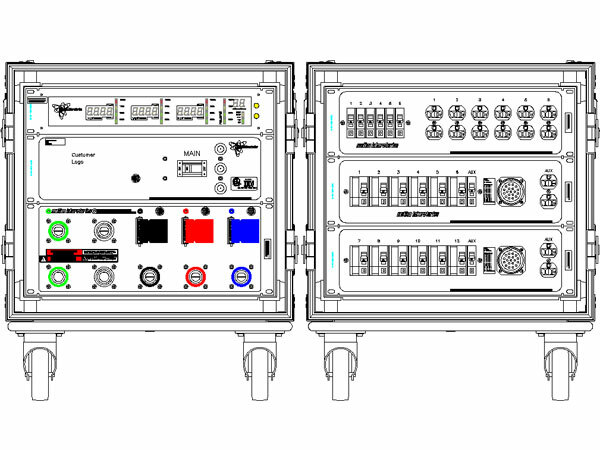 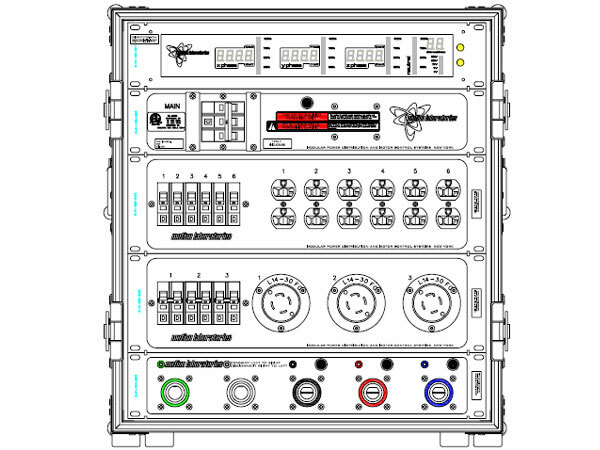 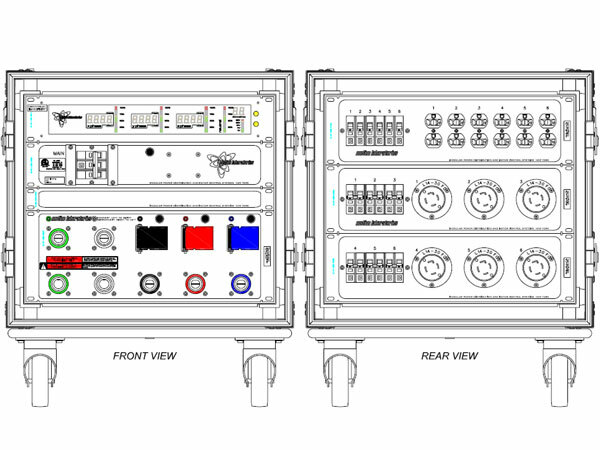 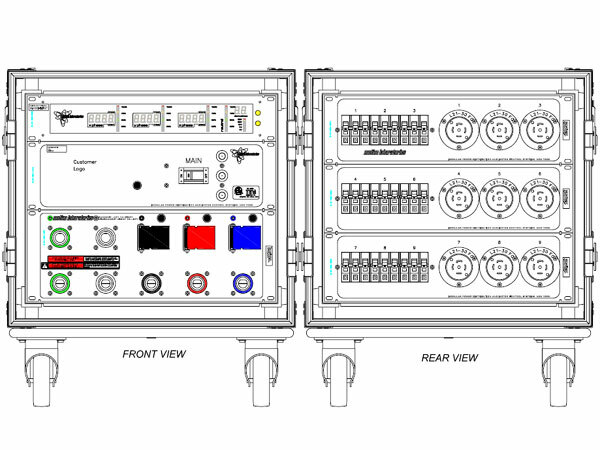 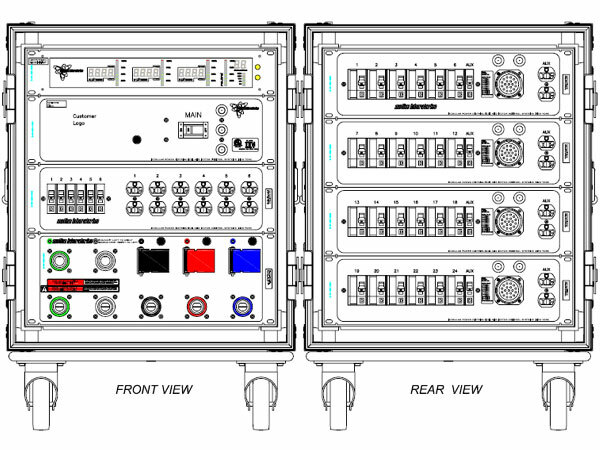 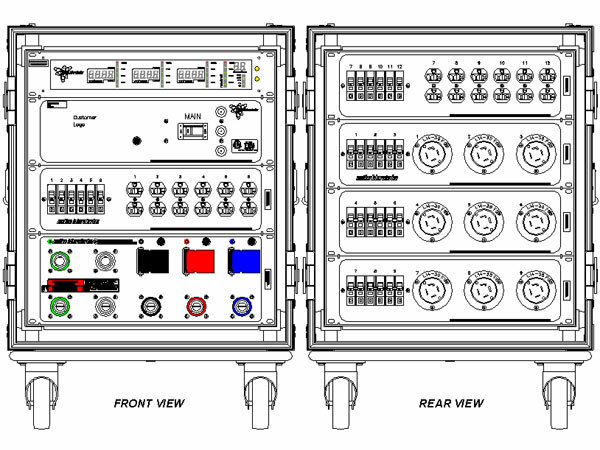 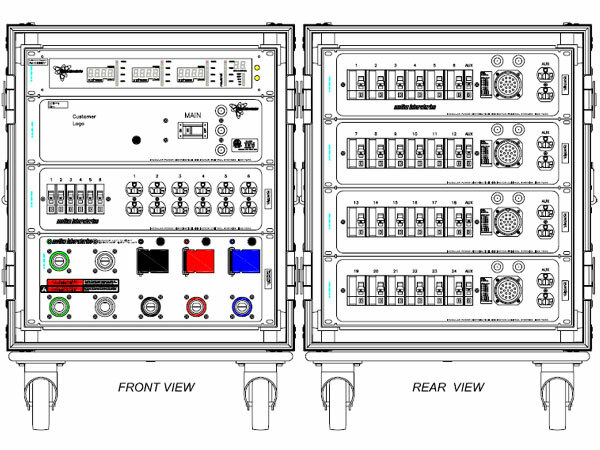 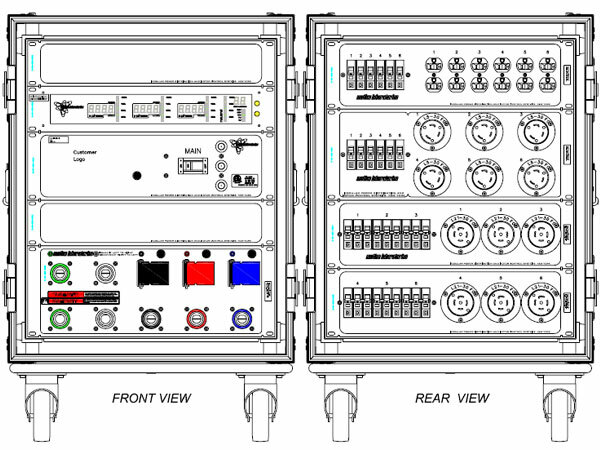 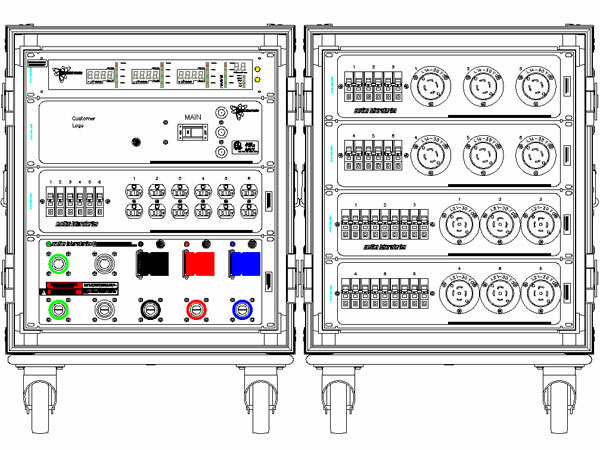 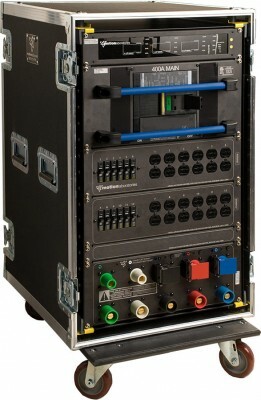 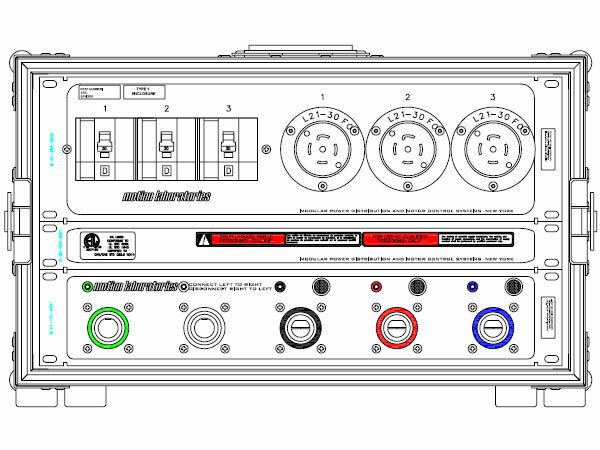 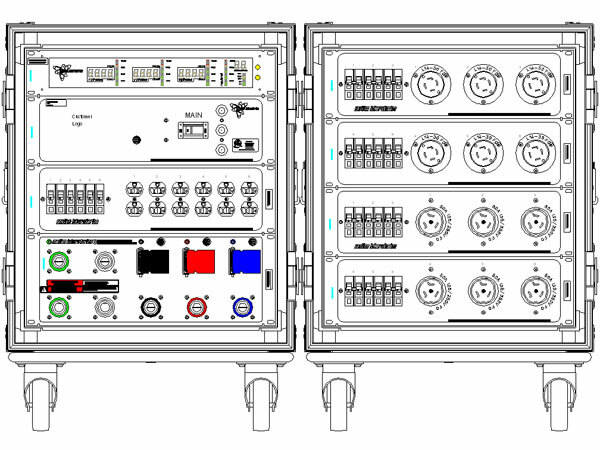 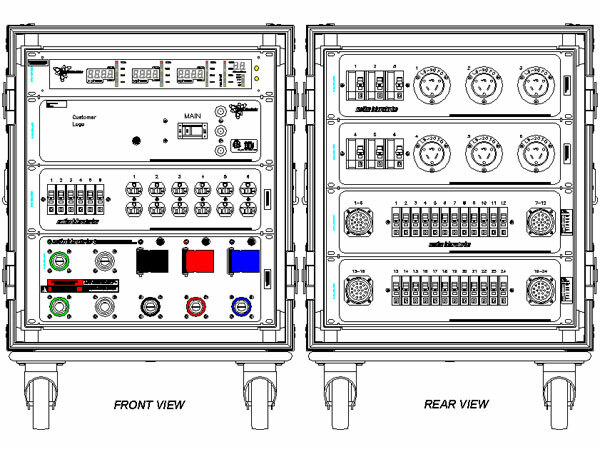 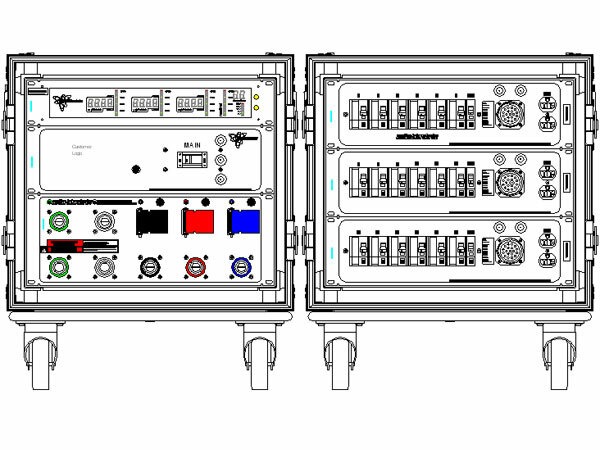 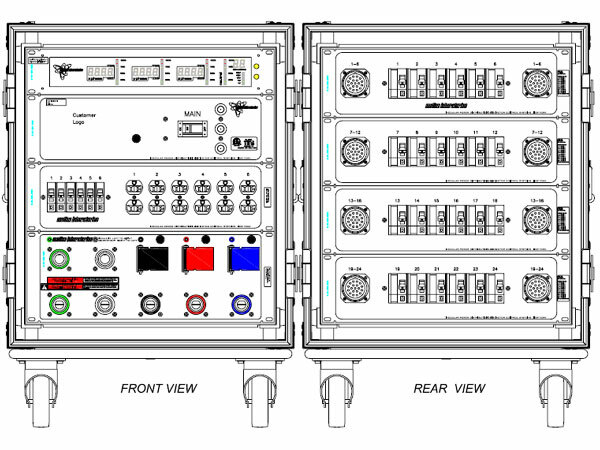 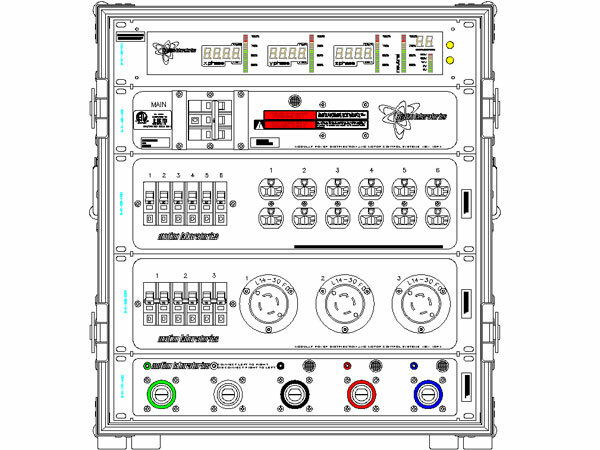 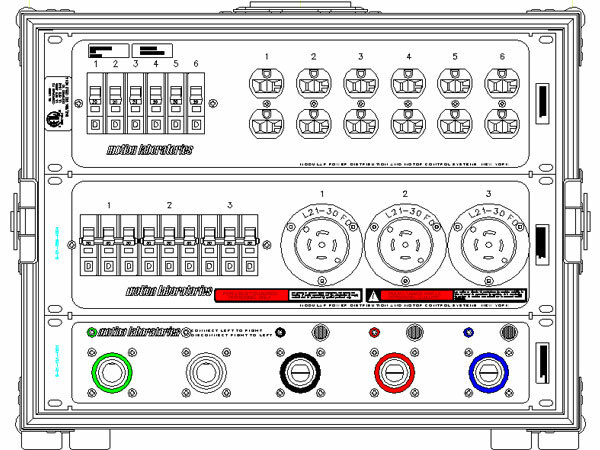 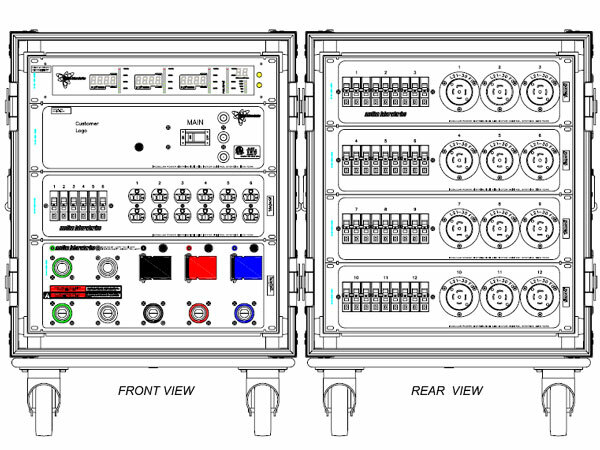 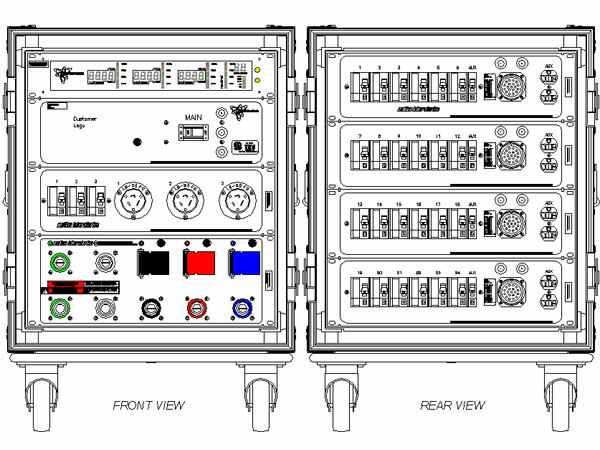 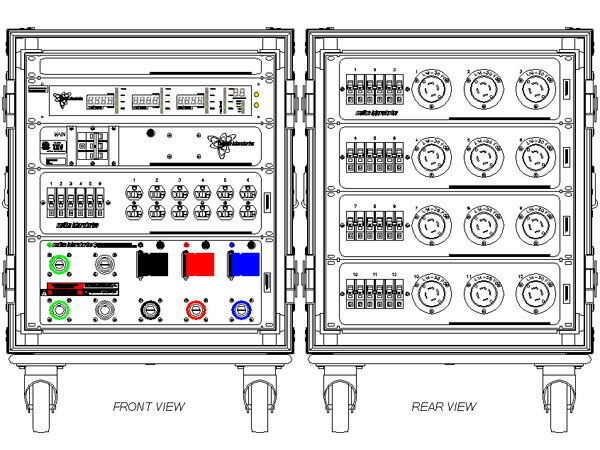 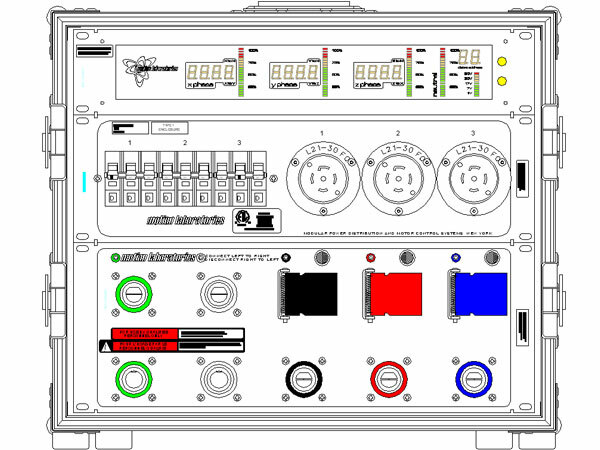 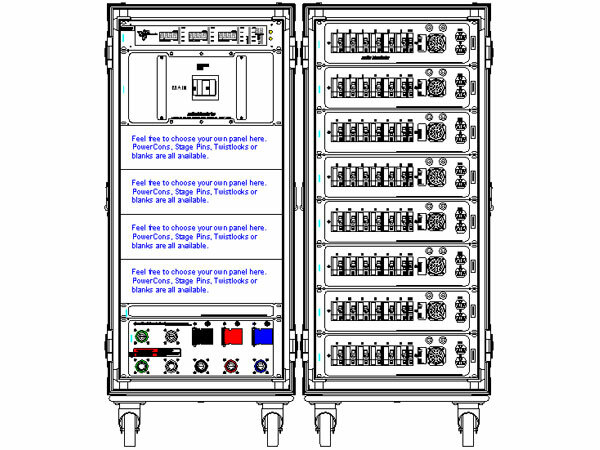 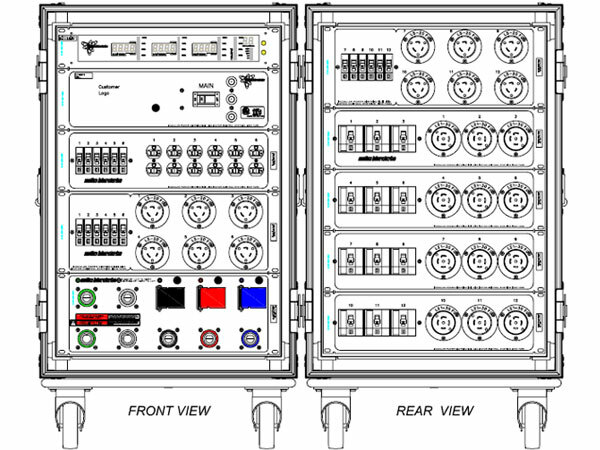 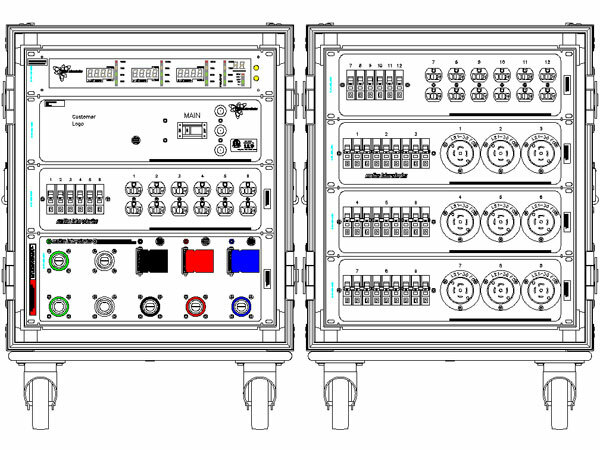 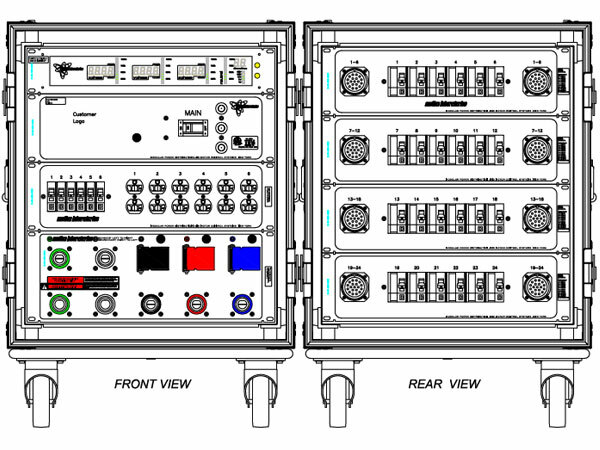 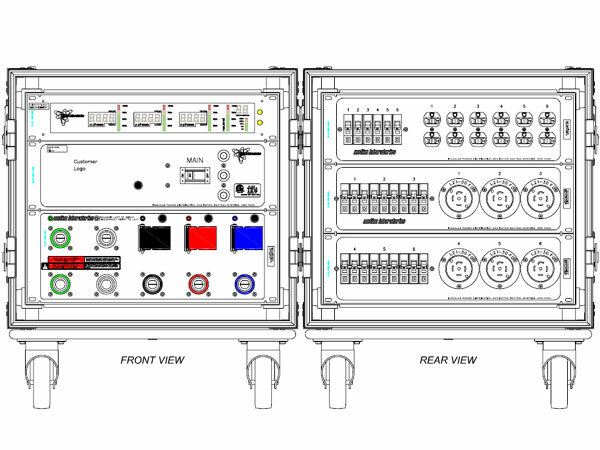 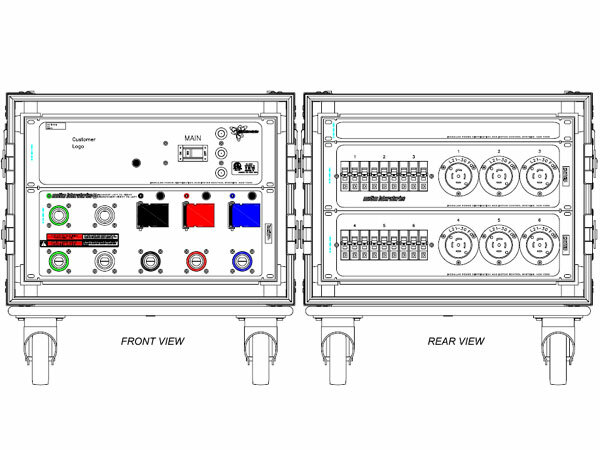 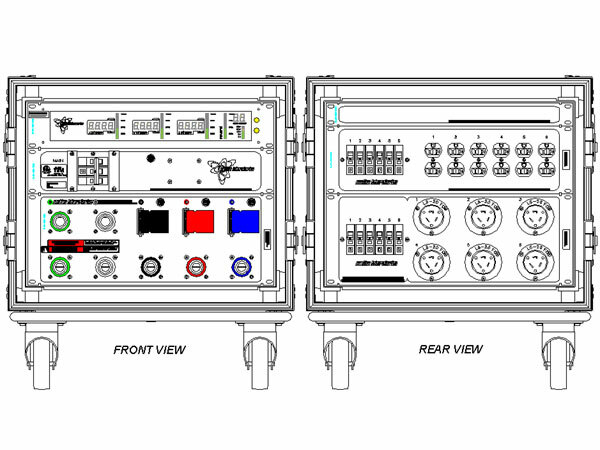 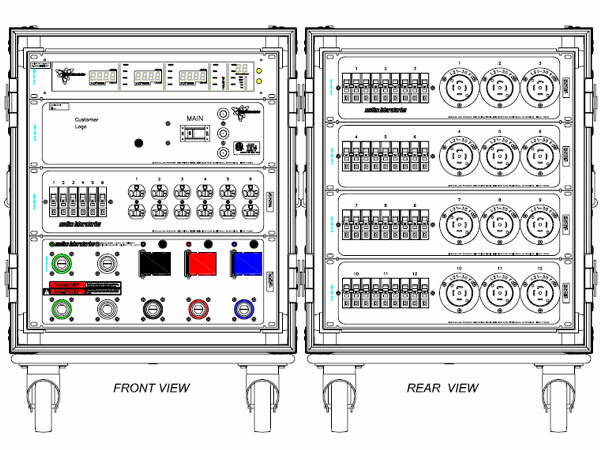 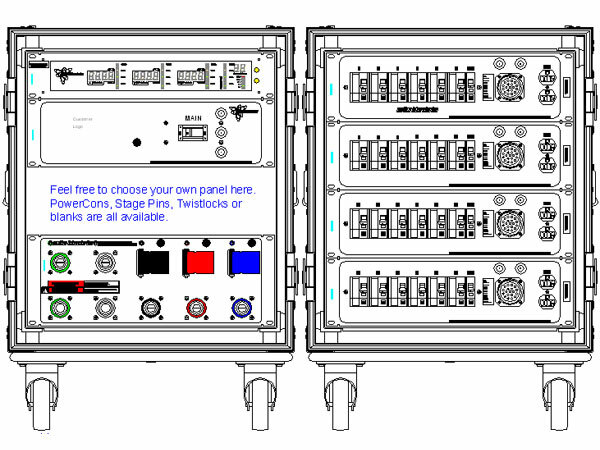 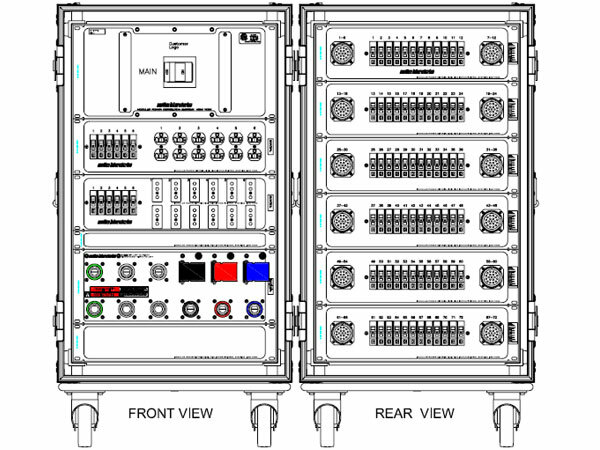 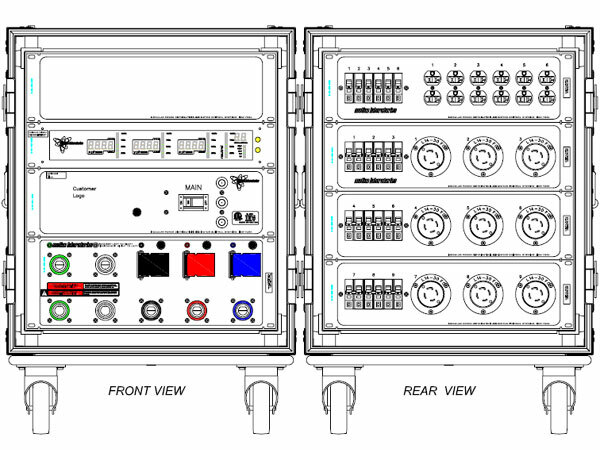 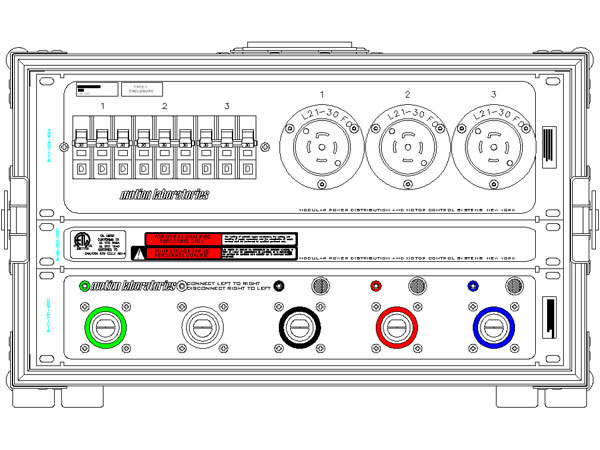 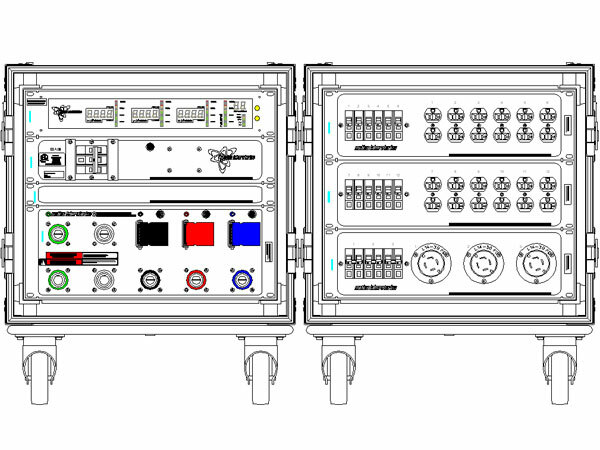 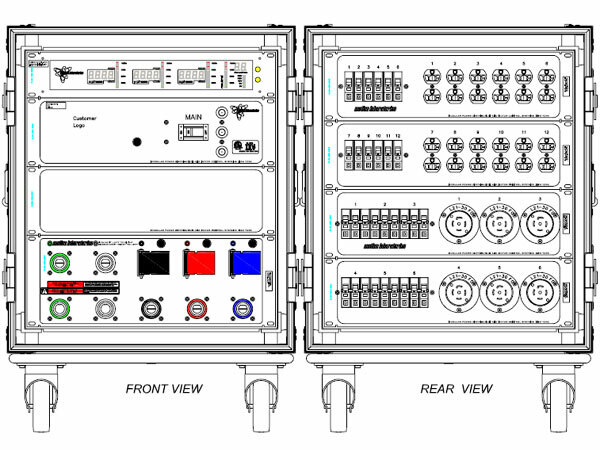 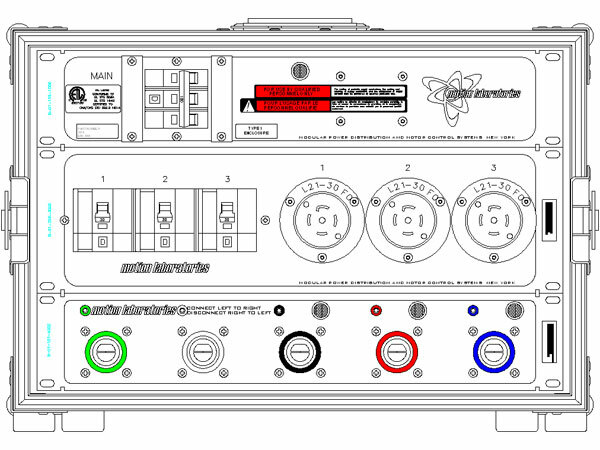 Our pre-configured modular power distribution units are built to save you time and cost. 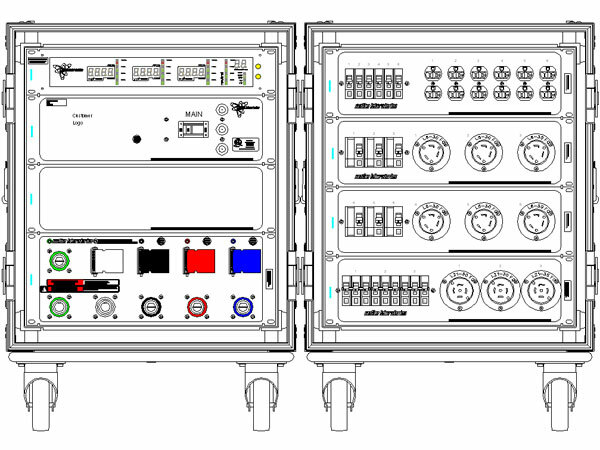 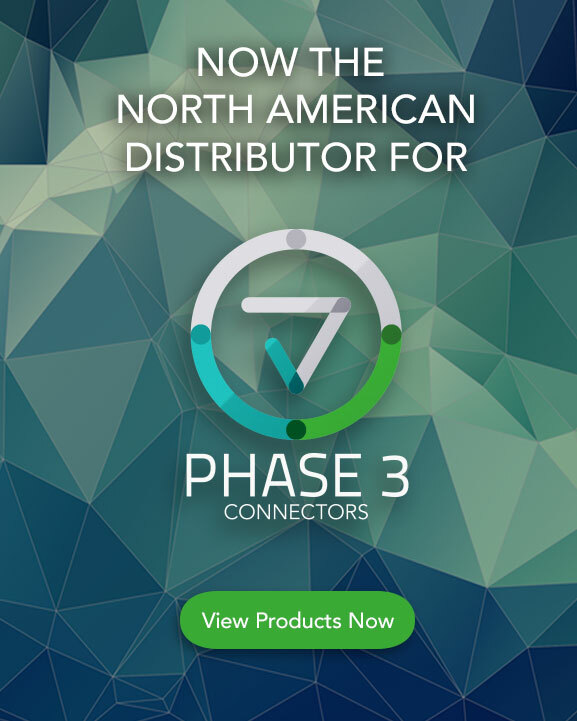 Similar to our library of stock panels, we have a number of pre-configured modular power distribution units that have proven to be popular to a wide variety of customers over our many years in business. 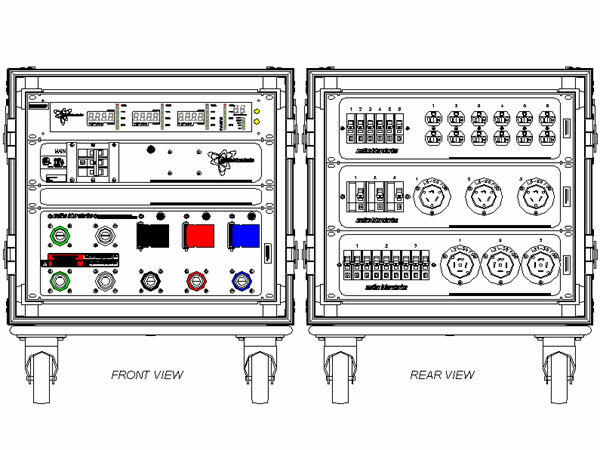 These configurations already exist within our library of equipment, complete with part numbers, shop drawings, parts lists, ETL listings and all things required here in our shop to manufacture a product for you. 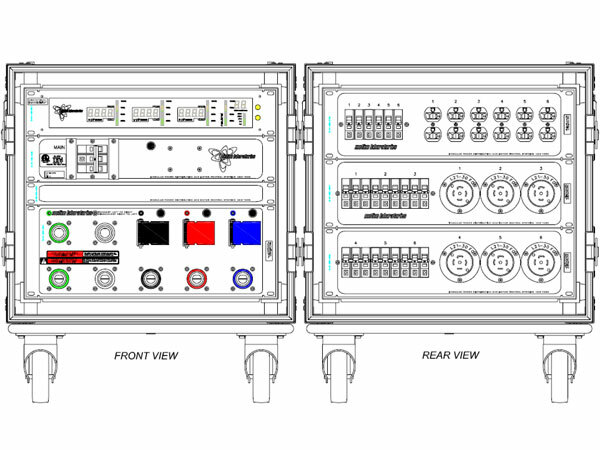 Consisting of the same modular designed panel configurations, we offer these items in standard formats for lighting, audio/video and LED wall applications. Our vast library of pre-configured products means that there is always a solution to your application.